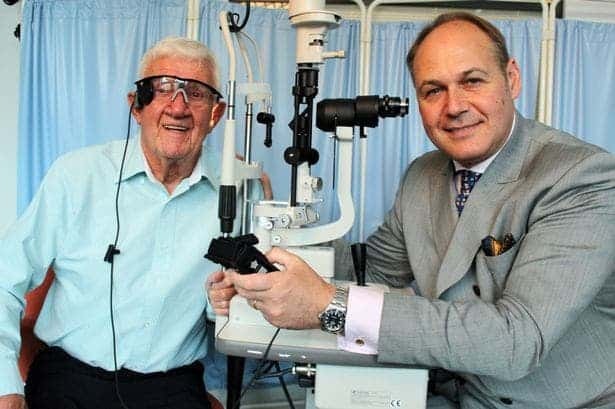 An 80-year-old man suffering from age-related macular degeneration (AMD) – the most common cause of sight loss in the world – can now see again after being fitted with a bionic eye. 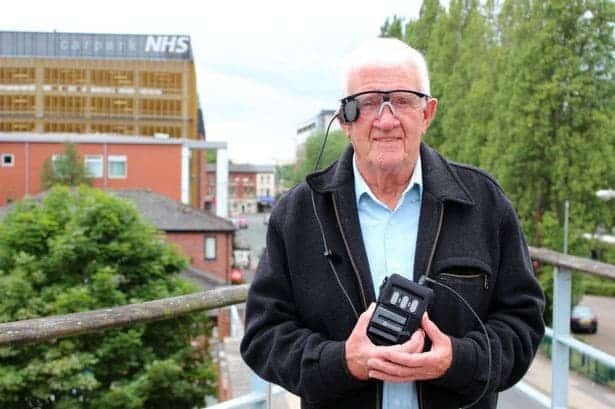 The technology was developed at the Manchester Royal Eye Hospital, and the implant marks the first trial for the Argus II system for AMD. The pensioner from Audenshaw, Ray Flynn, underwent surgery to fit the Argus II in June. The implant was fitted in the retina, while a camera mounted on a pair of glasses sends wireless signals direct to the nerves which control sight. The signal is then decoded by the brain directly. Thanks to the Argus II and the dedication of the doctors from the Oxford Road hospital Flynn can now make out the outlines of people and objects. “Mr Flynn’s progress is truly remarkable. He is seeing the outline of people and objects very effectively,” says Paulo Stanga, consultant ophthalmologist and vitreoretinal surgeon at the Manchester Royal Eye Hospital. Previously, the Argus system was also tested on patients left blind by a different eye condition called retinitis pigmentosa. One of the patients using the technology could read for the first time in his adult life. Another was able to see fireworks for the first time in 40 years.